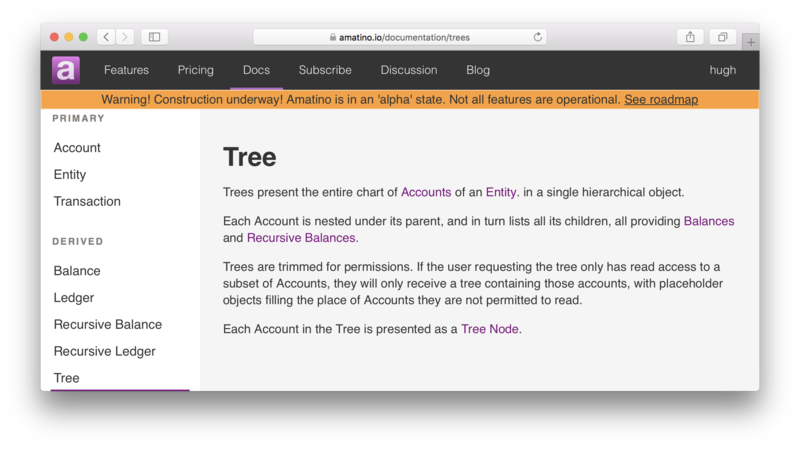 This morning I realised, to my substantial embarrassment, that Trees were missing from the Amatino API HTTP documentation. Trees are, in my humble opinion, the most exciting object the Amatino API can build. They are hierarchical structures of every Account in an Entity, including balances, recursive balances. They are a great way to get a whole-Entity picture. Somehow, I had ommitted them from the docs. That omission is now fixed! In future, I will need to do some work to flesh out the related Tree Node documentation. It is not yet clear how the Tree Node behaves when it omits data due to a lack of read permissions on a particular Account. 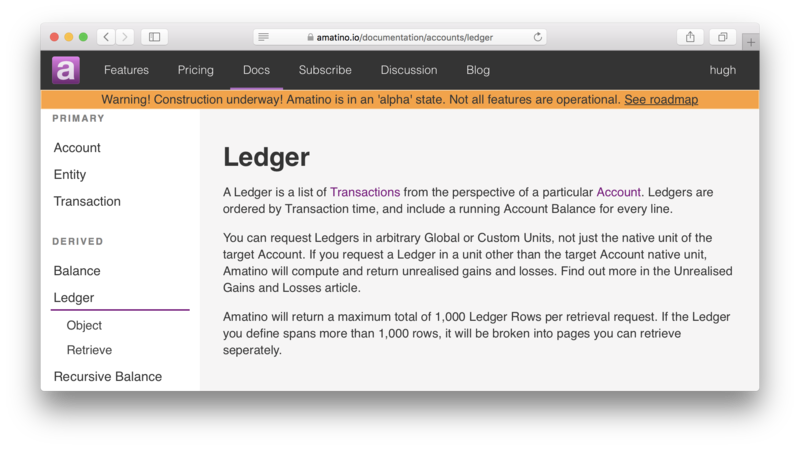 The Amatino API HTTP documentation has been updated. This update corrects errors in references to Global Units and Custom Units. Previously, the documentation stated that such units should be identified by their string codes. For example, 'usd' for U.S. Dollars. Now, the documentation states that units should be identified by their integer identifiers. For example, 5 for U.S. Dollars. This error was the result of some earlier experiments with removing integer unit identifiers in favour of string identifiers. The experiments did not go well, and lots of problems resulted. So, I reverted to integer identifiers, but forgot to update the documentation.